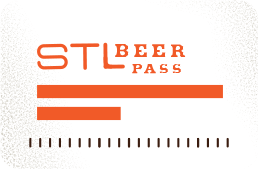 Become a STL Beer Pass member today! STL Beer Pass members will receive updates from time to time containing news, invitations, discounts, and special offers from STLBEER, local breweries, and our allied partners. Make sure to spell your email address correctly as that will be our primary means of contacting you. We will not share your information with any third parties.